ItemH-07005 - Chez Pierre restaurant, 512 Yates Street, Victoria. ItemD-07011 - Leechtown, near Sooke, BC. ItemD-07013 - Leechtown, near Sooke, BC. ItemD-07014 - Building a flume at Leechtown. ItemD-07265 - "Zetorch, Swannell, Miller, Hoover." ItemD-07018 - William Emptage, Sr.
ItemD-07019 - Richard Strong Sargent. ItemD-07021 - Man with an enormous dead bear. ItemD-07022 - "Sir William Van Horne." 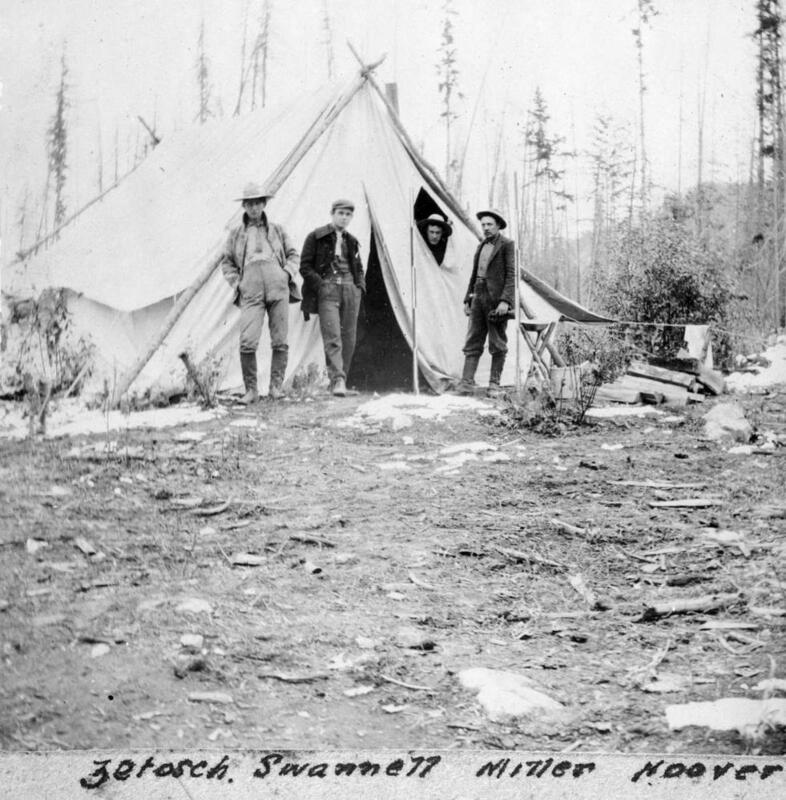 Item D-07265 - "Zetorch, Swannell, Miller, Hoover."